As the demand for nurses increases, it brings with it repeated calls for increasing the education and training for existing and incoming nurses. Nurses who take the difficult step of going back to school recognize immediate benefits of furthering their nursing education. Increased responsibilities on the job, employer respect, better pay, and greater confidence in their abilities as a nurse are just a few factors that make it worthwhile. There’s been a jump in enrollment in BSN completion programs – commonly known as RN to BSN programs- according to an American Association of Colleges of Nursing survey. The almost 25 percent increase in enrollment could be wholly due to the industry’s undertaking to increase the percentage of BSNs based on a recommendation by the Institute of Medicine. The healthcare industry is undergoing a dynamic shift towards a new type of patient care, current RNs with an associate degree would do well to consider the opportunities that a BSN affords. The RN to BSN program prepares nurses for success in the more complex healthcare environment by emphasizing the importance of health promotion and prevention. As the healthcare industry shifts its focus to health promotion and prevention in the community, graduates of BSN programs will find themselves in demand. New Mexico’s RN to BSN programs are seeing a spike in enrollment much like the others across the nation. Many schools offer an evening format and a hybrid option, which combines online and face-to-face classes. Traditional day classes are also available for students who prefer a fast-track BSN. The various options provide a lot of flexibility to nurses who must balance work and family commitments while furthering their education. While the associate degree offers quick entry into nursing, it should never be an end point as nurses today are encouraged to seek further education. BSN graduates acquire the leadership, research, and critical thinking skills that employers are looking for. Employers recognize that nurses coming out of associate degree programs make an invaluable contribution to patient care. 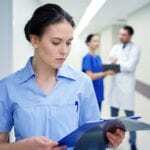 However, as hospitals pursue Magnet status, and must maintain a percentage of BSNs to obtain it, administrators offer full support to nurses who want to achieve a higher level of education. Along with flexible schedules, scholarship programs, tuition reimbursement, loan repayment programs, and paid leave, hospitals offer nurses a range of incentives to show their support. By encouraging existing nurses to go back to school and recruiting BSN graduates, employers can achieve the American Nurses Association’s much-coveted Magnet status. As a matter of preservation in the now competitive industry, associate degree nurses should make getting a BSN degree a top priority. A BSN degree is as valuable to nurses as it is to employers. Graduates have a body of knowledge and bedside care skills that increase their confidence and contributions to patient care. 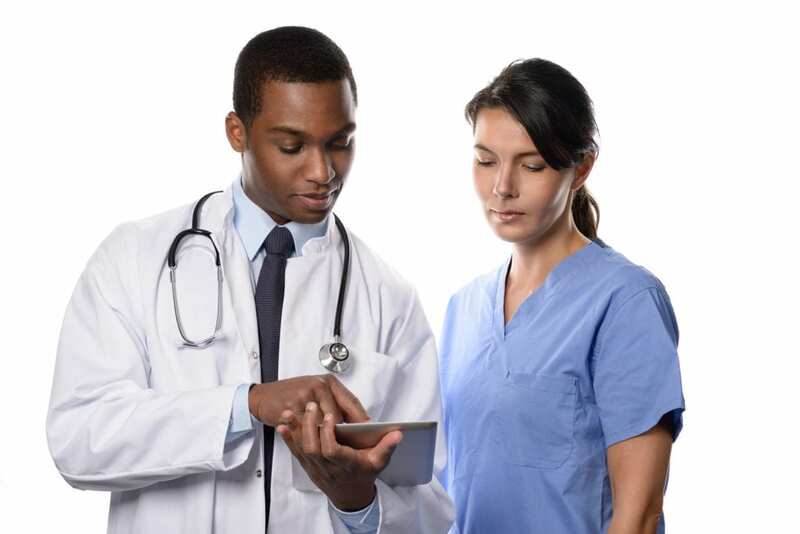 Their highly enhanced leadership, advanced practice, and communication skills are useful in all aspects of the workplace, from bedside care to communicating with families and the development of new policies and procedures. As the government seeks to improve outcomes for the population’s health and well-being, nurse leadership in the community will be more important than ever before. The BSN program includes clinical experiences in a community setting to prepare graduates for such a role. Community nurses work in partnership with patients to determine the suitable care or intervention needed to promote well-being, and BSN programs will stimulate the leadership potential needed to get the job done. Earning a BSN degree restores nurses’ confidence in their patient care and leadership abilities. An ADN-prepared nurse’s workday is so filled with task oriented duties that they often lose sight of the big picture. With a clearer understanding of how each task impacts the patient’s outcome, BSNs have a different approach to care. Their activities move from task-based to an adequate assessment of the patient’s needs and a holistic approach to care, ensuring their patients receive the best possible service. Employers quickly recognize the difference a BSN degree makes, and will assign the nurse with greater responsibilities, which will lead to opportunities to work in community settings and leadership positions. Nurses with greater responsibilities earn higher salaries. While the difference in salaries between ADNs and BSNs is not distinguishable at first and almost invisible in some states, BSNs can attract opportunities to lead teams in various areas of healthcare. In some states, including New Mexico, a BSN-prepared nurse can earn as much as 25 percent more than a registered nurse with an associate’s degree. The BSN can use the degree as a springboard for enrollment into MSN and DNP programs, which are the ticket to advancement in the field. Graduate nurses can serve as administrators, leaders, clinical experts, and educators of the future generation of nurses. Ensuring that the school of your choice has the approval of the New Mexico Board of Nursing is critical but, even more, important is the school’s accreditation status. Completing a program that is accredited by the Accreditation Commission for Education in Nursing (ACEN) or the Commission on Collegiate Nursing Education (CCNE) will earn your employer’s respect and pave the way for future study. Additionally, if you’re dependent on federal funding or state entitlements to reduce your tuition and other expenses, you must first enroll in an accredited program. To enroll in a BSN completion program at the University of New Mexico and other recognized schools, you must first have a diploma or associate’s degree in nursing and an active registered nursing license. The former education serves as the foundation for BSN content that is delivered online or in face-to-face sessions on the school’s campus. Submit a completed application after meeting the school’s general admission requirements. Have an associate’s degree in nursing from a regionally accredited school. Have at least 26 transferable credits that are applicable to the BSN. A minimum grade C is required for transferable courses. Have a cumulative GPA of 3.0 and above. Have a license to practice as a registered nurse in New Mexico or meet the eligibility criteria for licensure. Submit at least three letters of recommendation from employers or instructors. Submit official transcripts of all college-level courses. Each school determines the number of the credits the students can/should transfer to the BSN degree. As enrollment in the program may be quite competitive, the school’s admission personnel may use additional criteria to rank students and make a selection. Check the school’s website to determine additional requirements for enrollment and find out how to improve your chances of success. Below is a list of RN to BSN programs in New Mexico.